Yeeeeeeeeeeeeeeeeeees!!!! 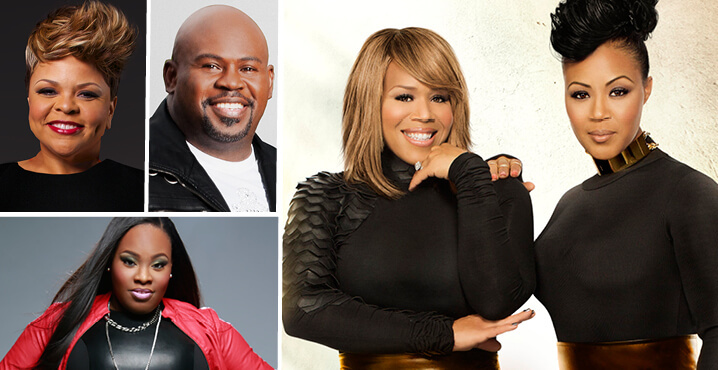 Thee Mary Mary, Thee Tamela Mann and Tasha Cobbs under one roof and Hosted by the shenanigans of David Mann! All at NJPAC in Newark, NJ, Friday, August 14, 2015 @ 7pm. Price Range: $45.50 – $91. For your Group Tickets email orders to njpac@rhenotha.com. Discounts for groups of 10 or more. You want to be one in the number!